After reading CSI: Binding Ties, it was time to go back to a traditional cozy mystery. 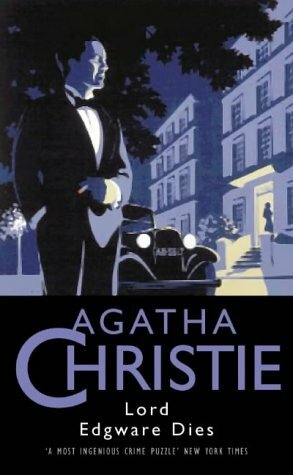 And what better than the Queen of Mysteries - Agatha Christie? I managed to find one of her books that I haven't read at Rainbow Plaza, and I thoroughly enjoyed it. Lord Edgware Dies is a case that misleads even Poirot. And the mastermind is Lady Edgware, a woman who appears to be dumb. But, as she says, it's "a good idea to seem stupider than you are." Is it scary that I once said something similar? Anyway, the focus of this book is whether Lady Edgware is the killer. She's mentioned many many times that she'd like to kill her husband because she won't give him a divorce. She's even mentioned the way she'll kill him. However, when the murder does happen, in the way she described, she doesn't have a motive and she has an airtight alibi - 12 prominent people who don't really know her were having dinner with her. It's a case that confuses even Poirot. In fact, the normal braggart but lovable detective considers it one of his failures. Like many Agatha Christie mysteries, once you find out the truth, it seems oh so obvious. However, during my first reading of the book, I (like Poirot), couldn't figure out what was going on. For a Poirot fan like me, this was a delightful read. Hastings is here as Poirot's Watson, and Poirot's version of psychology is very much in play here. Character motivation is believable and the mystery is full of twist and turns (and not a few red herrings). In the blurb of this book, the word "bookstore" was used. 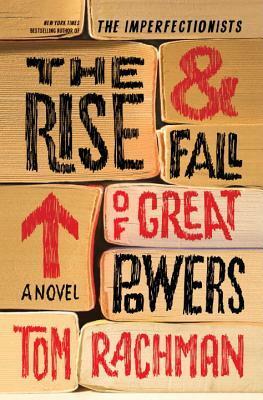 This is like my kryptonite, so I immediately requested this book on NetGalley. I mean, it's about a bookstore owner! Unfortunately, this book was only 'meh' to me. This book is about Tooly, a woman who was kidnapped as a child in Bangkok and moved around. She finally "settles" down owning an unprofitable bookstore, until one day, her ex-boyfriend calls with news about Humphrey, a man who raised her. From there on, Tooly goes back, ostensibly to see Humphrey, but really for the reader to find out more about her. Because this book jumps around in time, it took me till Chapter 8 to understand what the book was about. From Chapters 1 to 8, the book just seemed like a series of unrelated chapters. There were a beautiful sentence about reading, but I felt absolutely no connection to the characters because I had no idea what was going on. And even after chapter 9, I still struggled to connect with Tooly and the other characters. In made-up stories, he contended, life narrowed into a single tale with a single protagonist, which only encouraged self-regard. In real life, there was no protagonist. Is this a meta-literary sentence, where the author is trying to tell us that there is no one main character? Nope, Tooly is the main character and there's no denying that. The book revolves around her - who cared about her and who didn't. The rest of the characters are just there. And for the most part, I didn't care much for Tooly. Her values, which she learnt from Venn, are twisted, to put it simply. She was brought up to be a cynic and not to care. And that make her unlikable to me. Perhaps it's the non-linear narrative, but I never felt that she was searching for herself, I just felt that she ran into a series of events. Tooly had read the book already but, as with all her favorites, she'd stopped before its ending. It was dispiriting to witness her printed companions concluding their lives with a blank space at the bottom of the final page, so she halted earlier, returning months thereafter, flipping back several hundred pages to find them as they had been, deep in conversation, conceiving dastardly plants and share retorts. I must admit upfront, I actually gave up this book halfway. But a dialog with the lovely (and she is lovely, you'll learn more later) June convinced me to carry on. Now, if you remember my review of Benjamin McTish and the door through Grandfather Tree, I mentioned that the narrative style was a problem for me. I'm really glad to say that this is much less of a problem now. For me, the main problem was that when talking about the world in the book, the author tended to show rather than tell (but this, I found, is because she sees the book like a movie, and she tries to make it as detailed as a movie would be). However, since the reader is supposedly more familiar with the world in the book now, there is less explaining and the story moves along at a good pace. I would say that the second half of this book was very well-written, with a lot of action. Back to the book and its plot. 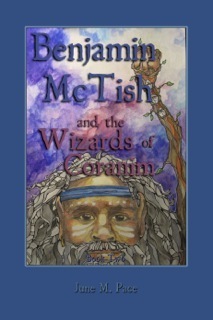 Benjamin McTish and the Wizards of Coranim is a continuation of the first book, as the three children continue on their quest to save the world. At the same time, their parents and grandparents are drawn into the world after them, and a whole new cast of characters appear. There are a lot more battles, a lot more action and way less explaining. Of course, with such a large cast of characters, it's a bit harder to keep track of all of them. The book does this mainly by giving them distinctive characteristics, in particular, very unique ways of speaking. It's a good trick, especially for minor characters, since it makes them memorable without needing to spend pages after pages of text to give them a backstory. The reason the words are capitalized is because in the ancient language and the words of the magical beings, these are words of power and importance. If you notice when they speak the word "Forest" it's capitalized as well, because to them the forest is it's own living entity…this is how they honor him. So when the shaman is speaking of truth, he is speaking of Truth, the ultimate expression of Love…see? The book is not written with the theme of everyone is a piece of God, or Buddhist philosophy…although I can see where you may think this. And this would be the perfect place for a disclosure. I mentioned in the start that I almost gave up halfway through the book. You see, the first half of the book, while better, is quite similar to its predecessor. 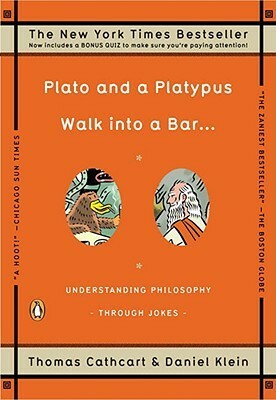 And the worries about the philosophy behind the book didn't help. So I was ready to call it quits. However, during this time, I was actually in an email conversation with June, the author. June was very patient with me, and gave me very thorough answers to all my questions - including the reason behind the narrative style. She also assured me that the second half is much more exciting than the first, which is the main reason why I decided to carry on reading. While this book isn't perfect yet, it's much better than it's predecessor. It seems to have found its voice, and it's developing well. In fact, the heavy handedness that I spoke of in my previous review has been heavily reduced (it's present mainly whenever someone, like Claire - Annabel and Mathilda, has to have something explained, or during a lesson where someone is explaining in very clear detail just why things happen). I think it's because this book has a stronger emphasis on action, while the last book spent a lot of its time pre-occupied with explaining what was going on and where the kids were. Disclaimer: I received a free copy of this book from the author. I also had an extended email conversation with her, where she answered my questions and encouraged me to read the book. My review, however, is my own opinion, and was not written in consultation with anyone. It is as honest and unbiased as I can be. Ok, this book I picked up at Changi airport. I don't know what reputations airport bookshops have (do share), but the ones at Changi are just like any other bookshop. The only difference is that I become strangely drawn to non-fiction books. And this seemed like the perfect book to buy and bring home. I was at Rainbow Plaza looking for something mindless to read when I stumbled upon this. 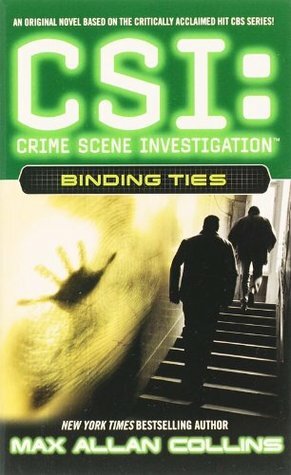 I quite like CSI (I used to watch it intermittently, until they swapped out almost all the characters), so I was intrigued as to how a novelisation of the series would be like. Truth be told, I was hoping this was based on an episode of the actual series, so that I could read the book, watch the episode and compare both. However, this is an original case. In Binding Ties, a copycat serial killer has surfaced. The original serial killer is called CASt (Capture, Afflict and Strangle) and he is not happy about it. The CSI time has to work to solve not only this case but the previous ones. I was pleasantly surprised by this book. The plot was interesting and I could believe that this is a CSI case. As usual, the CSI team (and not the detectives) are the ones that actually solve the case. 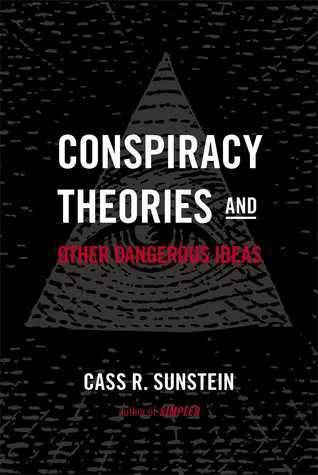 With the dual, but related cases, this book had some complexity (one case influencing the other). Of course, unlike a traditional mystery, this case is solved by forensics (i.e. DNA), and not deductions - this means that it's impossible for the reader to guess who the killer is from clues in the book. What I didn't really like about the book was that it veers to the side of the dramatic. The starting scene of a murder was definitely over-dramatic for me, as were the opening descriptions of the characters. That's probably because Grissom doesn't resemble an "angel of death" to me. However, once all the characters are introduced, the book settles down and proceeds nicely. Bottom line, if you're a CSI fan (even if you're just a casual fan like me), you'll enjoy this book. If you're not, well, perhaps you'll prefer a traditional mystery. This is a novel based on a real person. It's not a biography, but rather a novel, since it makes assumptions about the people in it and in a way, fictionalises them. 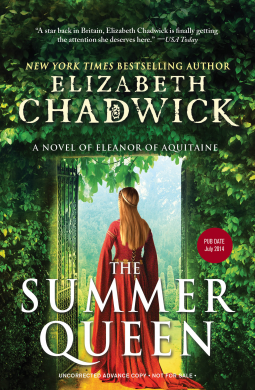 The Summer Queen is about Eleanor of Aquitaine, whom I'm just discovering is a fascinating woman. Married off to King Louis of France at age 13 after her father's death. Eleanor strives for independence in a court, and in an age, where women were looked down upon. Her marriage, which started off very promisingly, went downhill after Louis returned from battle changed. The king who never wanted to be a king started to mistrust Eleanor, and blamed her for the lack of children. What I loved about this novel would be Eleanor. Her hands are tied from the very start of the novel - she doesn't have a choice if or who she wants to marry - and yet she never gives up. She tries her hardest to protect the interests of Aquitaine. She could have given up and let herself be molded into the perfect wife, but nope, that wasn't the route she took. On the other hand, Louis was downright disagreeable and nasty. He claims to be pious, but his actions show that he's anything but. Misogynistic and bull-headed, there's practically nothing to like about him. I say practically because this book is mainly from Eleanor's point of view after all, which is biased. Although I must admit that even his few narrative chapters didn't manage to endear him to me. The last character (that comes in late in the novel) is Henry. Oh, I'm sure I'm not spoiling it for all the history students, you know what happened. So far, Henry is an interesting character, and while I haven't decided how I feel about his portrayal yet, I'm cautiously optimistic about him. Lastly, I have to add in a word about historical accuracy. Elizabeth Chadwick freely admits that she fictionalised things, such as Eleanor's feelings towards certain characters (i.e. there's no hard and fast proof about what was going on). In fact, we don't really know much about Eleanor, as Elizabeth Chadwick shows when she points us in the direction of a paper called "Do we know what we think we know? Making assumptions about Eleanor of Aquitaine" by Ragena C. DeAragon. Personally, I took this book as a novel and really enjoyed reading it. Perhaps it's won't become a definitive reference about Eleanor, but it is a good way to spark an interest into this fascinating woman. Disclaimer: I received a free copy of this book from NetGalley in exchange for a free and honest review. It's Tuesday again, and I have books from which I can get teasers! I bought two books at Changi airport and borrowed another one from Rainbow Plaza. 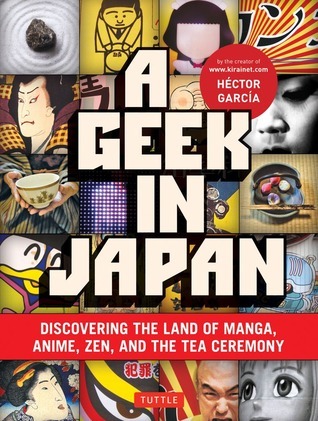 The borrowed book, and also where I'm getting this week's teaser from, is called A Geek in Japan by Hector Garcia. Is this true for you? I'd like my work to have meaning, but it's kind of sad to me if work is my life. I first heard of Inquisitor the day before its release party last Friday. The name "R.J. Blain" rang a bell, and I realised that I've seen her around on Google+. Of course, I signed up to support a fellow Plusser, and in the process, received a review copy from her. While I did put this book at the top of my TBR list, I can honestly say that the reason why I finished it so fast was because it was a gripping read. I was hooked from the first page. 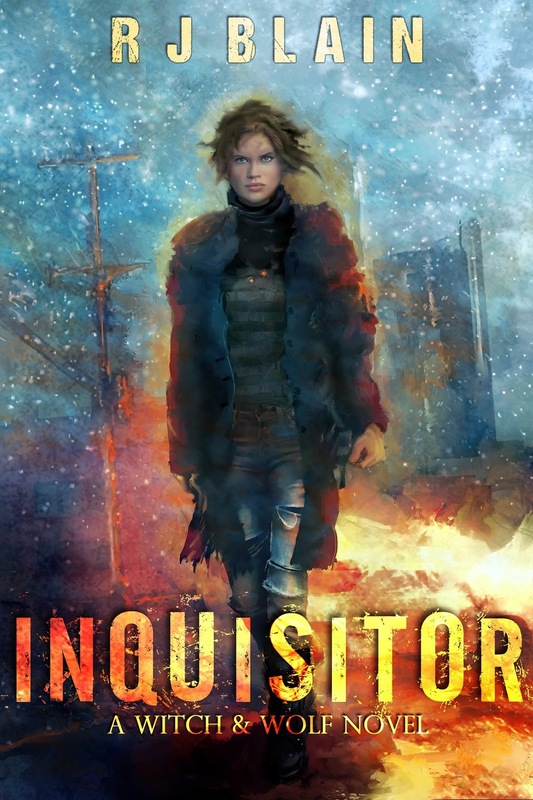 Inquisitor follows Allison (I shalln't say her name, since in her world, true names has powers), who falls into trouble after a Halloween party. The truth is, Allison is a werewolf, and not just any werewolf. She is, as she puts it "wolf, woman, and occasional witch", making her very rare and (in my opinion) very powerful. She's also very old, which amounts for her immense wealth. When her witch Samantha is killed, she retreats to one of her identities (CEO of Marrodin, a huge company) to hunt down her killer. However, this leads her into more and more danger. This book takes the idea of inner conflict and makes it literal. Allison has to balance the three parts of herself and it isn't easy. This can be clearly seen when you compare the narrative bits from her wolf and her normal point of view. Apart from this fascinating internal conflict, there's the external conflict and mystery. While this book started as a mystery, the mystery ended up taking a seat as the book dove into twists and turns that result from Allison's contact with the Inquisition. The Inquisition is, as far as I can tell, a former "employer" of Allison's and they're ruthless. We're introduced to some key characters of the Inquisition, but I desperately want more information about them. I also want more about Allison's background. For example, why do some characters call her 'Lady Hanover'? I honestly loved this book. It was a tightly written and well-paced book. Though there was a varied cast of characters, they all felt real to me, and I think enough focus was kept on Allison as the main character. There are some very interesting relationship developments which I'll be eagerly anticipating in the next book. At least, I hope there's a next book. This is a wonderfully crafted world and I love it! I've really got to get me an Amazon card so I can go buy more of R.J's books. Disclaimer: I got this book for free from the author in exchange for a free and honest review. Believe me, the gushing is real and heartfelt. Is it because it's the end of the week? No. 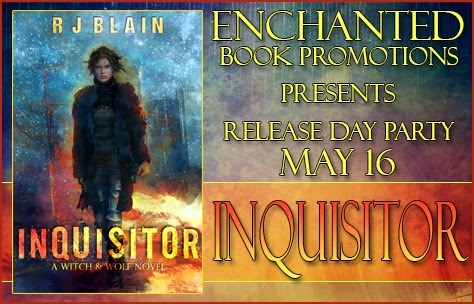 Is it R.J. Blain's new book Inquisitor's release day party?Yes! I actually signed up for this at the last minute, but R.J. still very kindly gave me a review copy. I'm loving it so far, and I'm definitely going to buy an e-copy from Amazon to support her (once I get an Amazon gift card - and look! There's an Amazon gift card giveaway! Read on for more details). If you're looking for a $10 Amazon gift card, then you're in luck! This release day party comes with a $10 Amazon gift card. Enter to win! How many times do we have to write? But how do we know if we're writing the same thing? If you're me, you probably had a test called "Situational Writing" in school, which tested you on writing the appropriate letter (For example a complaint). That's actually a really useful English test, but it's not enough. There are tons of situations and letters that we need to write and the school doesn't have enough time to teach us. This is where How To Write Anything comes in. I tried reading it in one go, for the review, and I discovered one thing: This is more of a reference book than anything. Read Section 1, which talks about the elements of writing: Purpose, Understanding your reader, Brainstorm, Organise, Draft and Revise. 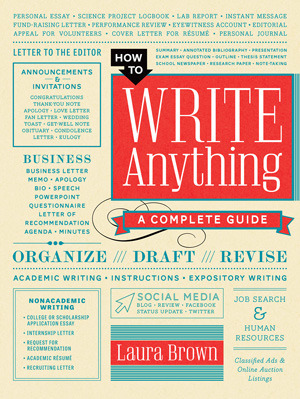 Think of it as the crash course in writing. After that, keep the book as a reference guide. Section II is for "e-writing", basically emails and anything done on a smartphone and a tablet. Section III is the encyclopedia of almost two hundred writing situations that you may encounter. Many situations come with a good and bad example (some only have a good example) and tips for how to write. Students who have situation writing, you may want to read through this. As a reference book, I think this book does the job pretty well. It won't teach you to be a writer of fiction, but it will help you write well enough to coast through daily life. I thought I knew all about Charlie and the Chocolate factor. After all, I read it with my brother. But when I came home for a weekend visit (to the doctors), my little brother proudly showed me this book, which I've never heard about. Of course, this book isn't just about Charlie and the Chocolate factory. It's actually divided into twelve sections, one for each month of the year. Each month starts with Roald Dahl's description of that month, and then something extra. For example, a recipe, copies of Roald Dahl's report cards, his advice to writers, etc. Personally, I loved this little book. It's like a little treat for fans of Roald Dahl. While it can't compare to the fun of reading a full story, there's enough to satisfy the ever hungry fan. In addition, my turning-ten year old brother loved it too! In fact, he was the one who recommended it to me. So if you're looking for a book for a little child, you may want to give him/her this along with a full set of Roald Dahl's books (Note: The Witches may be too scary. I'm currently reading Danny Champion of the World with my brother [and he's loving it], although I'm not sure how I'm going to continue over skype), or perhaps just a few selected books, depending on age and the child's character. This book is a series of essays by America's "most cited legal scholar" who has been at the "forefront of applied behavioural economics" for decades. Basically, I picked up this book because of the phrase "behavoural economics", which is a topic I'm interested in. and more. There are a total of 11 essays in this book. Personally, I didn't find the essays to be as "inflammatory" as the blurb had me believing. Even for the pieces where I disagreed with the authors stance, I wasn't so much 'inflamed' as 'interested and perhaps mildly amused'. Why? Because it's easy to see where the author's bias lies. I'm not sure if the author even tried being objective, but I'm assuming that he wrote these essays aware of his various biases and his worldview. Since he has a worldview different from mine, I found it only natural that he and I disagreed over certain issues. My favourite essay has got to be the one about Trimming. I've never heard of the term before, and I found this essay to be entertaining and informative. If you're looking for an opinionated but not that in-your-face sort of book, you should consider giving this book a go. I wouldn't call it "factual", but it is good to read different opinions every now and then. I think everyone knows this story. I'm pretty sure that even before I read this book, I've already read an abridged version. So we all know how it goes, pretty boy makes a wish to never grow old so his picture grows old instead. Eventually, he stabs the picture and turns into the hideous old man that he really is. But when I read it, I was struck by one thing: that Dorian Grey isn't the real monster here. And when I thought about the book, I realised another thing: this book really is timeless. So, thing one - Dorian Grey isn't the real monster. Although Dorian Grey does a lot of terrible thing, like driving a woman to suicide, he was actually a normal, if rather self-centered human, before the whole mess started. The one who corrupted him, and in my view is the real monster, would be Lord Henry. 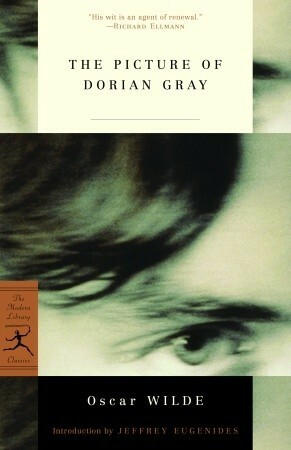 And if you think about it, Dorian Grey does eventually realise his faults, while Lord Henry doesn't. He is the real monster here, because of his influence on Dorian, and his lack of realisation of his sins. In fact, I feel that his role in the novel is rather ambiguous - does his lack of punishment for his sins mean that his philosophy is condoned? The contrast between him and Dorian suggest that the book's message is that the self-awareness of our sins is the real evil. The awareness of the state of his soul is, at the very least, what drove Dorian to his unhappy end. And then thing two - This book is timeless. We live in a society that's ever increasing obsessed with how we look. If you're pretty and look innocent, you can be excused for a multitude of sins, just like Dorian Grey. Sure, there will be some people who will judge by actions, but what I've found is that for every controversial personality, part of her/her appeal would be his/her looks. There is an instinct that says "looking innocent = innocent". Even though this book was published over a hundred years ago, it still reflects a society very much like our own. I think most kids read Roald Dahl. Well, I'm not sure about kids today, but when I was a kid, everyone was reading Roald Dahl. Him and Enid Blyton. But today, I want to talk about Roald Dahl. 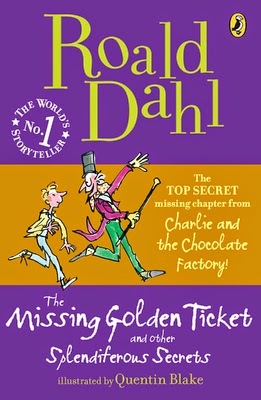 Roald Dahl was the guy that wrote Charlie and the Chocolate Factory. And Matilda. And well, a bunch of other stuff, including the short stories that I only discovered when I grew up (and that's a good thing because his short stories are dark). 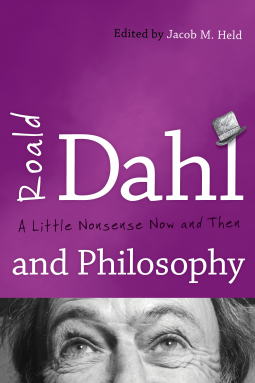 The whole premise of this book is that Roald Dahl's books are excellent material to use when talking about philosophy because of that element of darkness in the books. After all, all this books start of with people in dire straits - Charlie is starving to death, Matilda is neglected and abused, James is an orphan abused by his guardians, etc. - Matilda and the Philosophy of Education: or, What's an Education for? My favourite chapter is Matilda and the Philosophy of Education: or, What's an Education for? In this chapter, three schools of education - essentialism, progressivism and romanticism is examined through the book Matilda and its various characters. I admit, it's not the first topic that comes to mind when I think of Matilda (I think of bullying when I think of this book - bullying by adults), but I found this to be an eye-opening read. I'm definitely saving up for a hard-copy of this book. When I read a Flavia de Luce book, one thing that I take note of, other than the mystery, would be her relationship with her sisters. After all, our positions are nearly reversed, I'm the oldest sister of the three girls in my family. In this book... do my eyes deceive me? Does Daffy and Feely show some form of emotion besides hate towards Flavia? Could it be that they're not completely heartless? Well, I'll have to continue until I catch up to the latest book (which was the first book I read) in order to find out. Oooh, I can do a re-reading of the latest book too! Ah... I'm digressing again. 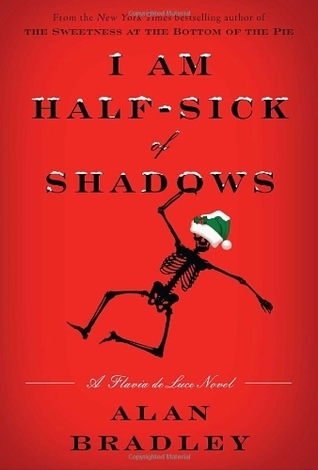 As usual, a Flavia de Luce mystery is an extremely enjoyable mystery. Flavia is endearing, and there's the normal new cast of characters where the victim and the murderer come from. In this mystery, Flavia's home is being rented out to a movie-production company over Christmas due to the ever-increasing strain on their finances. Of course, Flavia manages to endear herself to the famous Phyllis Wyvern, who is our victim in this book. But as usual, there's something wrong with the film company, like some dysfunctional family forced to stay together. So it's no surprise when Phyllis is murdered. The surprise of this book is that it sets up the stage for the mystery in Book 6. I won't give away spoilers, but you should be on the lookout for hints. Well, not so much hints as conversations that will make sense in The Dead in their Vaulted Arches. For me, the background of this book (i.e. the characters and their relationships with each other) overshadowed the mystery. It makes sense in a way, since murder is essentially a relationship that went very very wrong. But I find myself more interested in the relationship between Flavia and her sisters, Flavia and Antigone (Inspector Hewitt's wife) and basically Flavia and everybody else. She's such an endearing character. Oh, and her side project this time is to capture Father Christmas. I actually forgot about this, because the characters took up my attention, but it's another naively ambitious project from our favourite 11 year old sleuth.